Brazilian researchers are vaulting over conventional fetal imaging techniques with a virtual reality system that brings realism to the interaction between a fetus and its parents, according to a study to be presented at the RSNA 2016 meeting in Chicago. The researchers created physical models based on data from 3D ultrasound, MRI, and occasionally CT, they wrote in an abstract. More than 30 pregnant women were scanned with ultrasound, and MRI and CT were performed when there was an abnormality. The images were then exported and manually segmented. 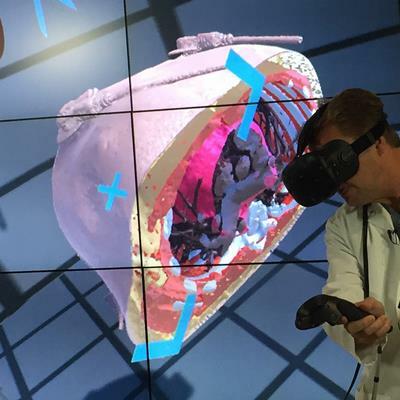 To create the virtual reality 3D models, the physician chooses the body parts to be reconstructed, and a 3D model is created that includes the umbilical cord, placenta, and fetus. 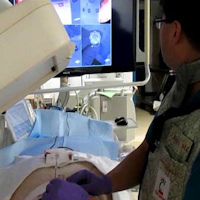 The virtual reality device is then programmed to incorporate the model, according to a release from RSNA. 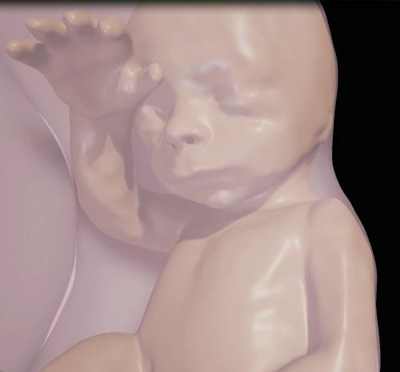 "The 3D fetal models combined with virtual reality immersive technologies may improve our understanding of fetal anatomical characteristics and can be used for educational purposes and as a method for parents to visualize their unborn baby," said study co-author Dr. Heron Werner Jr., PhD, from the Clínica de Diagnóstico por Imagem in Rio de Janeiro, in the statement. 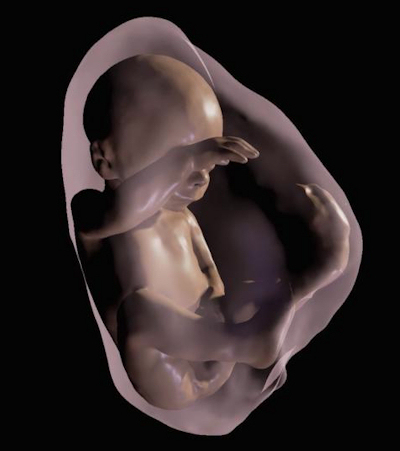 Above, 3D virtual model ultrasound view of fetus at 12 weeks. Below, 3D virtual model MRI view of fetus at 26 weeks. 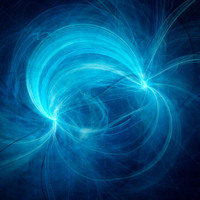 All images courtesy of the authors and RSNA. 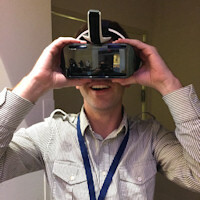 For the virtual reality viewing device, Werner and colleagues used the latest-generation Oculus Rift 2 (Oculus) headset. The device places users in an immersive sensory environment that includes even heartbeat sounds derived from fetal ultrasound scans. 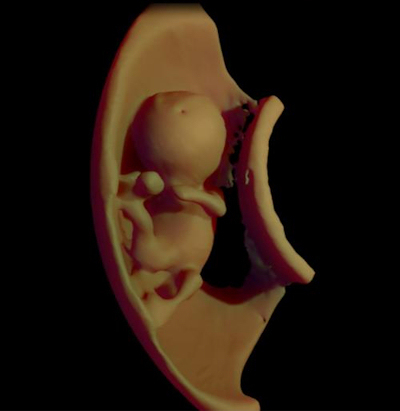 Users can simply move their heads to study 3D fetal anatomy close-up. The experience with the device has been excellent, Werner said, with fetal images that are sharper than ultrasound or MR images seen on a traditional display. Above, close-up of fetus at 26 weeks. Below, visualization of internal structures at 27 weeks. 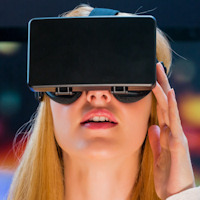 The virtual reality model has several potential applications, such as assessment of fetal airway patency, according to the group. 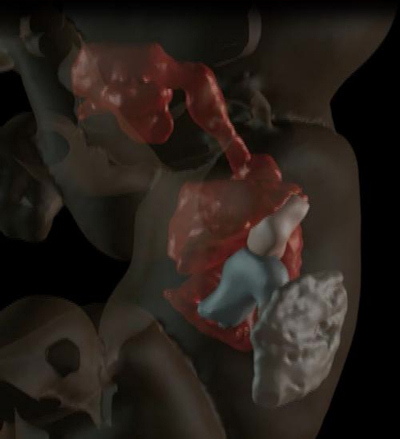 If doctors found an abnormal mass near the fetal airway, for example, they could use the 3D images and headset to assess the entire airway and make informed decisions about delivery. "We believe that these images will help facilitate a multidisciplinary discussion about some pathologies, in addition to bringing a new experience for parents when following the development of their unborn child," Werner said. Working at a clinic in Rio de Janeiro, the researchers have already used the technique on cases with suspected abnormalities that required postnatal surgery. They plan to use the technology on a broader scale in 2017. The results will be presented in a poster (IN218-SD-MOA1) on Monday, November 28, from 12:15 p.m. to 12:45 p.m. in the IN Community, Lakeside Learning Center, Station 1.